A round-up of the stories, ideas, and events we've been bringing to life throughout June. When it comes to restaurant menus, à la minute refers to a meal that is prepared to order. It emphasises freshness, bringing bright flavours to the table. When it comes to sketching, à la minute is what we call live sketching. And it serves the same purpose as it does with cooking—made to order, adding freshness and bright flavours. 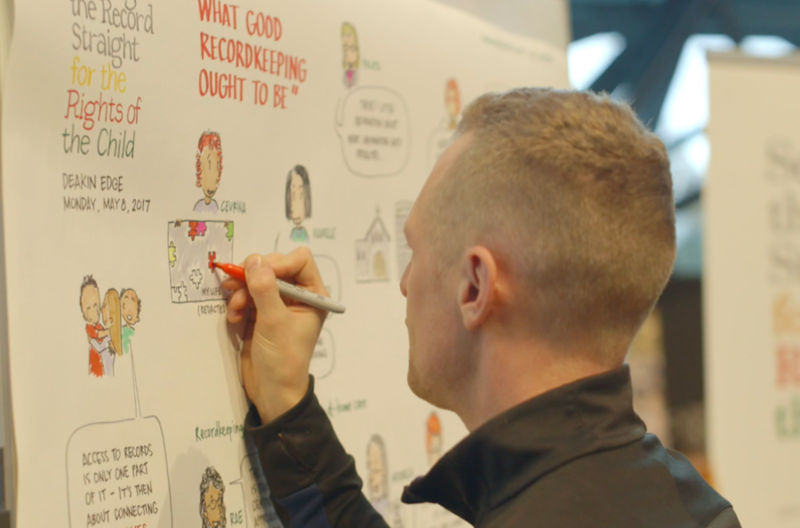 Live sketching, or graphic recording, brings something extra to your event. While some clients are initially worried that have a live sketcher on stage with a keynote speaker might detract from the presentation, they’re delighted to discover that in fact the opposite is true. Having visual cues that relate and resonate actually enhance the experience for the audience. And it helps them absorb and remember the key messages clearly and concisely. Sketch Videos is building a team of live sketchers to value-add to a whole range of exciting events. In the past few months we’ve live-sketched in Melbourne, Canberra and Sydney, in conference rooms, hotels and offices, for two day conferences, one-hour presentations and live pitches. 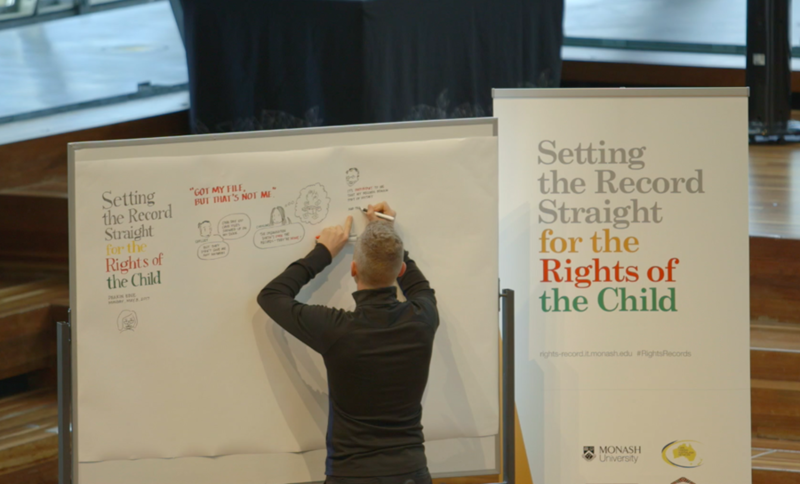 We’ve live-sketched for IT, Legal, Health, Government and Social Justice groups, just to name a few. And our sketching fingers are itching to live-sketch some more. Get in touch if you'd like one of our live sketchers to help you serve up an à la minute event, made to order for your hungry attendees. Matt’s talk is titled From Canvas to Camera: How to Make your Own Sketch Video. In his hands-on session, Matt will explain to the audience the process we use to make our much-loved Sketch Videos. He’ll share his insights as well as some top tips and tools for creating a professional sketch video. Matt’s also going to attend a lot of the other sessions at the conference, and we can’t wait until he gets back and shares with us some of the latest techniques, technologies and talking-points from the sketching world. Recently, Sketch Video worked with the Victorian Environmental Water Holder to make a video about Water for The Environment . We have to admit, we hadn’t heard the term until we started on the project, but now we know just how important it is. That’s one of the great things about working with our diverse and fascinating clients—we get to learn along the way. As well as learning, our Sketcher, Robin, got a chance to flex his drawing skills on sad fish and frogs, as well as happy, splashy fish and a healthy river system. We’re really happy with the result. Check it out here. It's been a really great and busy time for us here at Sketch Videos and we've been working on some exciting new developments that we hope to share with you soon. In the meantime, stay warm and sketchy.